By using a UV map (a process of flattening out the 3D model to a 2D template) means the label designs are then perfectly wrapped onto the product, with no distortion to the graphics. 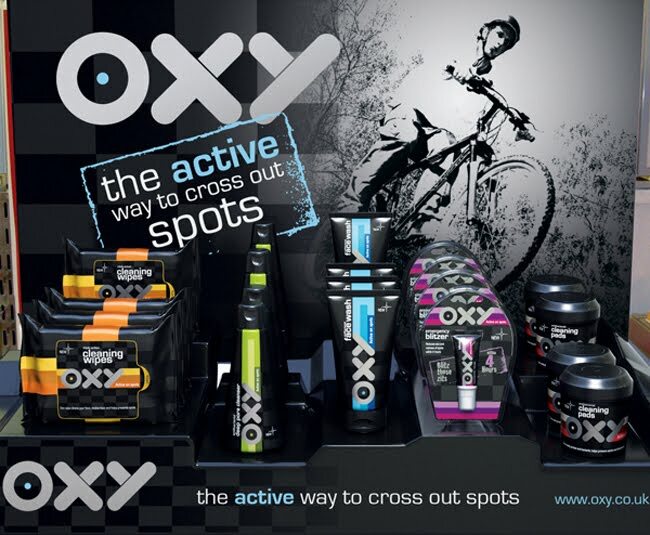 100% 3D modeling & rendering of the OXY packaging concept by Tim Cooper. 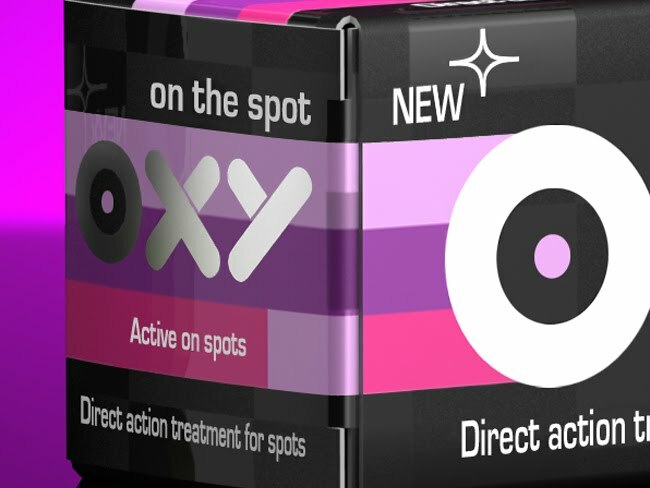 The 'On The Spot' packaging was modeled flat from an artwork cutter guide. Then accurately folded up, just like a real box. This display unit was also visualised to show how the packaging would look sitting on a POS in store. Another 3D render showing on shelf positioning instore.